A perpetual care cemetery located between Elizabethton and Johnson City, has been serving the local community since 1930. 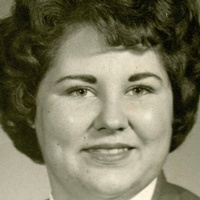 Linda Paulette Matherly Humphrey, 72, Elizabethton, passed away Friday, January 18, 2019 in the Johnson City Medical Center. A native of Carter County, she was a daughter of the late Bate & Ina Ellis Matherly. She was a homemaker. In addition to her parents, she was preceded in death by three brothers. Mrs. Humphrey was a member of the First Christian Church. Survivors include her husband of 49 years: Kenneth Humphrey. One Daughter: Lisa Humphrey, One Granddaughter: Alisha Sexton. Several nieces & nephews. Graveside Services will be conducted at 2 p.m. Sunday, January 20, 2019 in Happy Valley Memorial Park with Mr. John H. Smith, Minister officiating. The family would like to express a special “Thank You” to Dr. Michael Pearson & Staff, the nurses and staff of 6300—2700 wings of the Johnson City Medical Center and the staff of NHC Home Health Care including her special nurse Margie Gwinn. Family and friends will assemble at the cemetery at 1:50 p.m. Sunday. Condolences may be sent to the family at our web-site www.memorialfcelizabethton.com.